IRON MOUNTAIN — The goal is to maintain full services at Dickinson County Healthcare System and eventually satisfy all financial obligations, including pensions, even as the hospital flirts with insolvency. 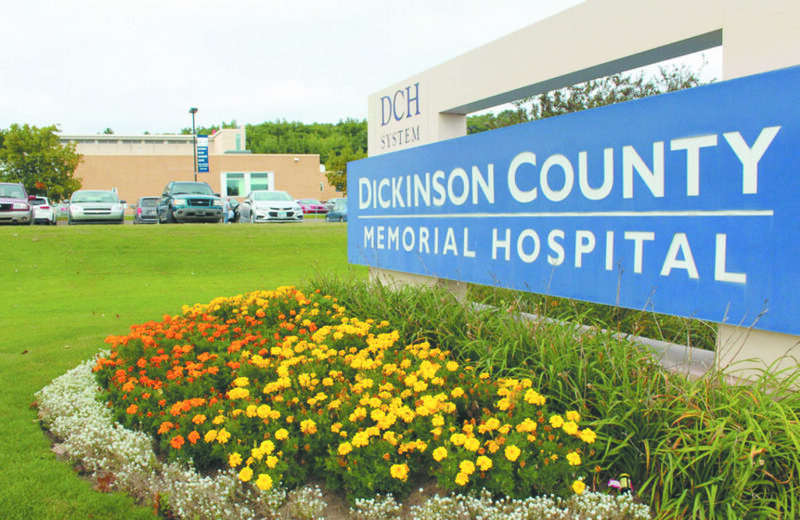 Whether all of that can be achieved and closure bypassed is anyone’s guess, but the DCHS Board took a dramatic step Tuesday by authorizing attorney Michael Celello to recruit a bankruptcy counsel to guide the hospital through a Chapter 11 filing. “This is a reorganization process; it’s not a liquidation,” Celello said during a meeting Tuesday in a DCHS conference room overflowing with dozens of employees, retirees, doctors, citizens and county officials. Legal firms from across the country have expressed interest, Celello continued, explaining the process will include negotiations with a still-to-be-determined partner that may likely be the hospital’s end purchaser. That partner, or “stalking horse,” could stake DCHS until its crisis is resolved, he said. In the meantime, the hospital could obtain a debt loan at high interest but sufficient to stay afloat, Celello said. As for the current cash flow, DCHS Board Chairman Bill Edberg said there’s enough to last to the end of October, as well as potential access to $2 million held in escrow by Fifth Third Bank. That money was set aside by the Cincinnati-based lender during acquisition talks with Marquette-based U.P. Health System — a deal that collapsed last week and set the hospital on its course toward Chapter 11. Celello is expected to make a recommendation on a reorganization counsel as early as the end of the week. County Commissioner Joe Stevens, a liaison to the hospital board, said preventing a closure has to be the main focus. “We have to keep this place open no matter what,” he said. Tuesday’s nearly two-hour session included numerous queries about the performance of CEO-Administrator John Schon, leading Ann Martin of Iron Mountain to conclude the board should consider firing him. Martin, a county commissioner, opposed a motion Monday night that sought to do just that, allowing it to fail by a 2-3 vote. On Tuesday, she spoke as a citizen concerned by “so much distrust and anger” — particularly over a $1.3 million payout to Schon from the pension plan. Edberg came to Schon’s defense, saying he was “basically responsible” for DCHS opening its facility on U.S. 2 in 1996. As the hospital pursues reorganization, “we’re in a much better position” with Schon, he said. Edberg said the pension payment to Schon was legal and no different, in concept, from what many others received as DCHS offered lump sum distributions to “de-risk” the plan. The action was taken in anticipation of a sale to Green Bay-based Bellin Health earlier this year, which also fell through. With confusion reigning over who was eligible for payouts, the hospital will provide a written, detailed explanation through its human resources department. What that document won’t provide, however, is assurances that all pensions will be fully paid into the future. A Chapter 11 filing allows an organization protection from creditors as it reorganizes. Eventually, the court must adjust millions of dollars of debt among competing interests. Addressing the board, Tina Mott said the lump sum payouts to others are an emotional sore point for retirees who face the prospect of seeing their incomes reduced. “They need those pensions to sustain their lives,” she said. It’s been an anxious, uncertain year at DCHS. DCHS began talks with UP Health after Bellin Health withdrew from an acquisition agreement that was estimated at $61 million, all of which would have gone to pay the hospital’s long-term debt and unfunded pension liabilities. According to Kevin Pirlot of Iron Mountain, a candidate for the county board, the pension shortfall is about $18 million — not as daunting as the $40 million figure quoted during the Bellin talks. That, he said, was the amount needed to absolve the potential hospital purchaser of future obligations. Pirlot also called for new leadership, arguing DCHS is rushing its bankruptcy decision. DCHS’s financial losses have slowed — after a negative $13 million bottom line in 2017 — but a downward trend in business continues to keep it in the red. The 2018 year-to-date bottom line is a negative $4.1 million through July, though Edberg said it appears August was a positive month. Dr. Clayton Shaker, a cardiology specialist at DCHS, urged hospital critics to “stop perpetuating negativity.” It’s ridiculous to imply that malfeasance is responsible for the hospital’s financial worries, he said. There was talk during Tuesday’s session of forming a community group to help emphasize the positives of DCHS, which continues to be recognized nationally for its patient safety performance. Another hospital board meeting will be scheduled when Celello is ready to make his recommendation, DCHS Public Relations Manager Joe Rizzo said.